The Whitecaps played host to the reigning Honduran champions C.D. 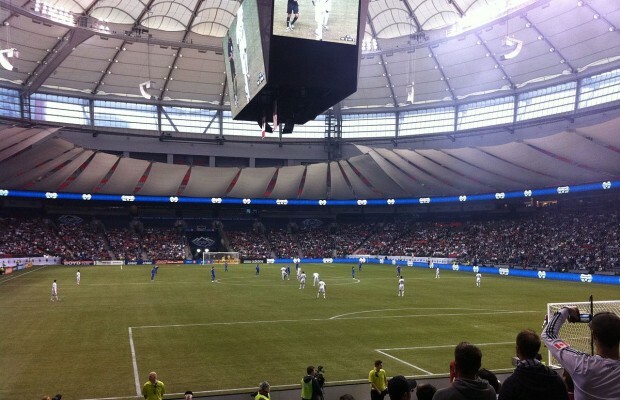 Olimpia in the club’s second of four CONCACAF Champions League matches at BC Place. This will be Vancouver’s second CCL group stage match and game one saw them draw even with Seattle (1-1). Both Seattle and Olimpia have met twice with each team winning on their home turf which somehow keeps this wide open in Group F.
The game is a must win match for the “Caps” as a win could advance them to the quarterfinals with a win vs. Seattle on September 23. The ‘Caps would win the group and advance to the quarterfinals with a win vs. Seattle on September 23, but a loss in that game would have Seattle finish in the top of the group. They (Whitecaps FC) could also advance by earning a draw in both of their remaining two matches yet to be played. Should they lose the match, they would have to win the remaining two matches to advance in the group. If the Caps play to a draw they need (minimum) four points (a win and a draw) from the final two matches they play in order to advance. So there are several different scenarios that could come into play and Carl’s side cannot be eliminated from contention from further matches. However they have to at least get maximum points to make any damage in the standings in Group F.
This match is the eighth consecutive CCL appearance for Honduras and they are the only club in CONCACAF to have qualified for every CCL in its current format, dating back to 2008-09. Honduras Olimpia eliminated the Portland Timbers in the group stage of the tournament from any further advancement, so are still the team to beat. They are also the reigning Honduran champions. Olimpia started slowly in league play this season, but have now won three of their last four matches. ← Previous Story Whitecaps Win Championship! !